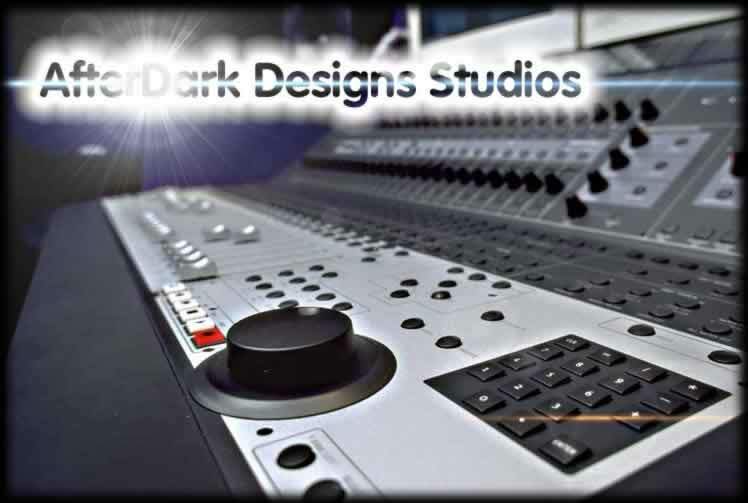 Welcome to AfterDark Designs Studios. AfterDark is conveniently located in Smyrna, Georgia just outside the I285 perimeter of the Atlanta metro area. We are a fully equipped digital sound recording studio with the leading direct to hard disk recording ProTools HD-3 system. We offer 128 tracks of 24 bit recording plus unlimited midi track recording. We offer many services such as radio spots, band album/demo recordings, audio for video, audio mastering, video production and much more. Whatever your need, we can accommodate just about anything you would want to do dealing with audio or video and will work with you to assure that you are completely satisfied with the end result. Please check our other links to see more of the studio and give us a call at (770) 241-2317 if you have any further questions or want to reserve studio time. Thank you for your interest in AfterDark Designs Studios and we hope to hear from you soon!